Springer and the American Thoracic Society (ATS) have entered into a partnership to collaborate on the book series Respiratory Medicine. Springer will hold editorial responsibility, but will work with the ATS to develop new topics for books. 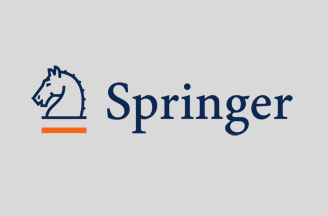 Members of the society will have free access to the eBooks in the series on SpringerLink and be eligible for discounted prices of the print versions on Springer’s website. The series includes 20 books with about 15 in development. The first volume was published in 2009. The books in the series Respiratory Medicine offer clinical and research-oriented resources for pulmonologists and other practitioners and researchers working in respiratory care. Spanning a broad range of issues in respiratory medicine, the series covers topics such as COPD, asthma and allergy, pulmonary problems in pregnancy, molecular basis of lung disease and sleep disordered breathing. The series editor is Sharon Rounds, MD, Professor of Medicine and of Pathology and Laboratory Medicine at the Alpert Medical School at Brown University in the US. The roots of the American Thoracic Society (www.thoracic.org) reach back to 1905, when a small group of physicians decided that the best way to improve care for tuberculosis patients was to share their experiences and discoveries. Today, the ATS has grown into an international society with more than 15,000 members. The ATS is the world’s leading medical association dedicated to improving health worldwide by advancing research, clinical care and public health in respiratory disease, critical illness and sleep disorders.